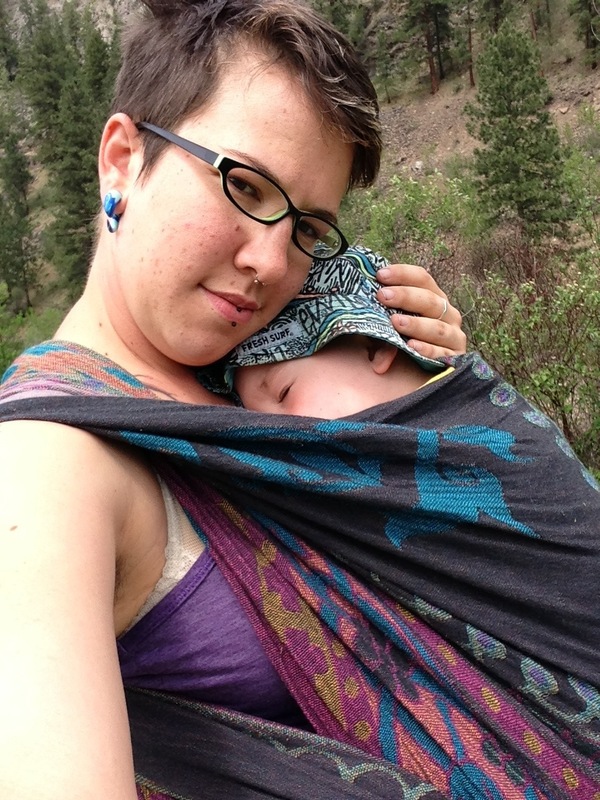 ← From City Buses to the Grocery Store, Babywearing Four Babies! Who: me (Rosie Gartner) and my 3 year old boy. What: my orient in a comfy kanga carry, giving my son a rest while I walk to go shopping. When: today (May 16th 2013) in the early afternoon. Where: Grand Forks, BC on an old rail grade turned into a trail.